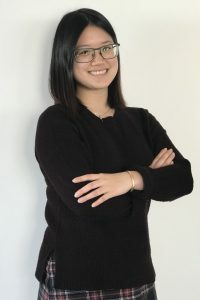 MeiHuii Lee joined Synergy Global’s Graduate Finishing Program as an Effectiveness Intern in August 2018. She recently graduated from the University of Melbourne with a Masters of Food Science & published a paper in a peer-reviewed journal about the effect of soundwaves on beer characteristics. Previously, she has worked with variety of industries such as technology, food manufacturing, farming & FMCG. She played an active role during the implementation of an ERP project & even had an opportunity to get involved in a change management program. Additionally, she also has experience in planning, implementing, monitoring & evaluating the success of digital marketing campaigns. These helped MeiHuii improve her analytical & work ethic. While balancing full time graduate study & work in rural Victoria, MeiHuii developed excellent time management skills as well as attention to detail. MeiHuii’s experience as an International Student Ambassador at the University of Melbourne taught her valuable organisation skills as well as working with a group to plan & run events. She was exposed to the importance of understanding an individual’s diversity & effective communication as growing up in Malaysia & attending an international school helped MeiHuii develop awareness of various cultures. MeiHuii completed a Bachelor of Agriculture majoring in Sustainable Production & completed a research project about obtaining biofuels & biochar from common waste materials such as banana peel, sugarcane bagasse & corn husk. Sustainability is important to MeiHuii & she enjoys reading about new developments in that field. As an intern, MeiHuii looks forward to learning as much as she can from her Synergy Global team & customers. She is eager to use the skills she has learned during university & work to participate in various projects. She believes that with her outgoing personality, she will be an excellent asset to the team. MeiHuii looks forward to expanding her horizons with Synergy Global. MeiHuii also enjoys travelling, having completed internships in Tokyo & Sydney. She is passionate about cooking & food & is always eager to try out new recipes. Being outdoors & hiking is also another one of MeiHuii’s numerous pastimes.